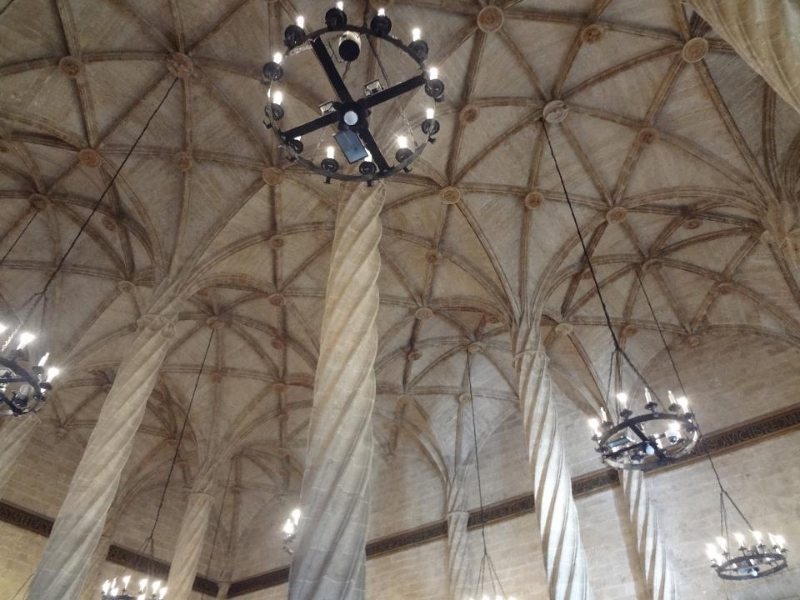 Built entirely in limestone between 1482 and 1533, La Lonja de la Seda de Valencia (The Silk Exchange), a World Heritage Site by UNESCO since 1996, is an exceptional example of a secular building in late Gothic style, which dramatically illustrates the power and wealth of one of the great Mediterranean mercantile cities the 15th and 16th centuries. The site is of outstanding universal value. 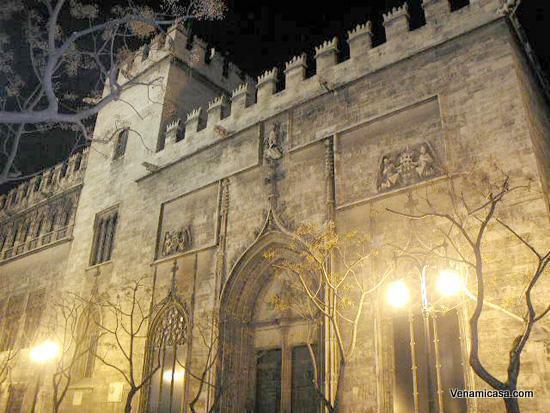 La Lonja de Valencia. 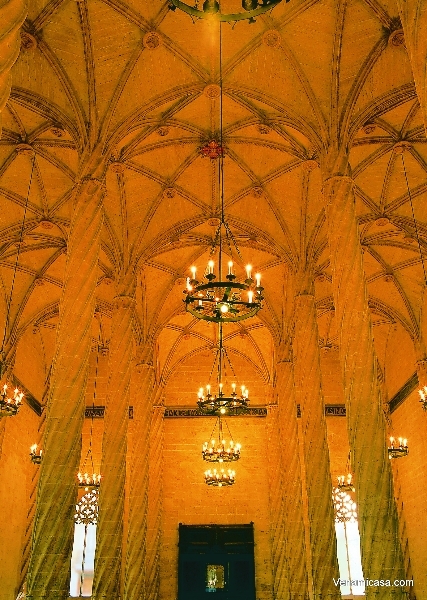 Interior facade is aesthetically unique of its kind, because of its fine Gothic architecture and Renaissance decoration of the Mediterranean art of the 15th century. 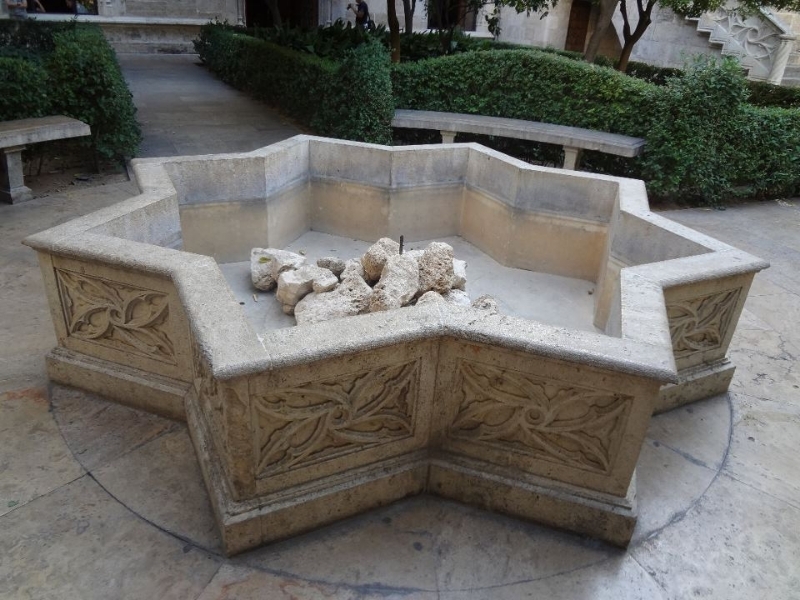 It is a typical representation of the commercial and financial past of the City of Valencia which has been used for the same purpose for five centuries. It has been always a centre for commerce. Its original function was as a trading exchange for oil. It developed into the main maritime trading centre and the flourishing silk exchange. 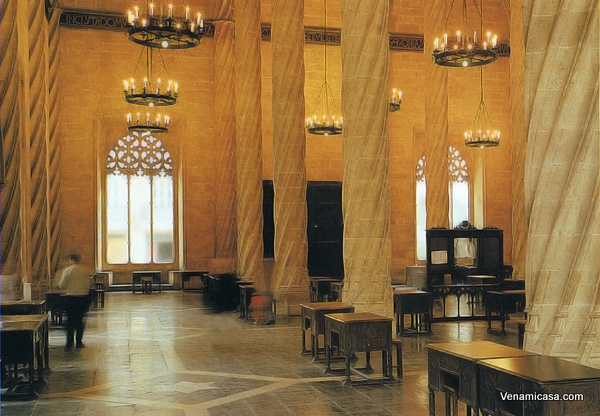 It housed the commercial institution known as the Consulat del Mar (Consulate Sea) founded in 1283, and the Taula de Canvis i Deposits (The Changes and Deposit’s Table) a banking institution over which its transactions took place. 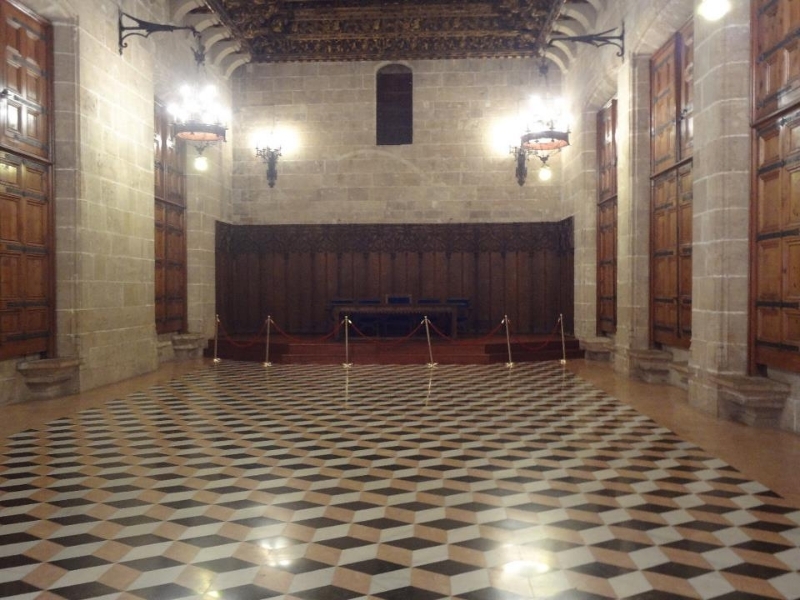 1.- The grandiose Sala de Contratación (Contract or Trading Hall) , a magnificent hall in Flamboyant Gothic style which covers the half of the total area. 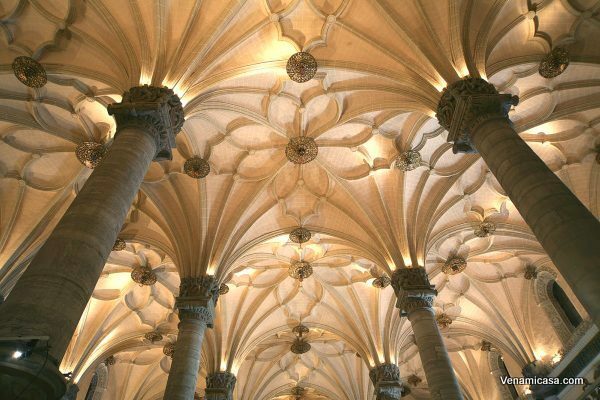 A large space divided with five rows of slender spiral-shaped columns which break up the room into three naves showing the elegant vaulting of the roof. The floor was made of different coloured marbles. Around the walls there are Latin inscriptions in Gothic characters which proclaims the principles upon which trade within the hall is based: honesty of its traders and justice of its syndics. It is perfectly lit by beautiful Gothic windows,with frames like the doors are exuberantly ornamented, notably by a series of grotesque gargoyles. 2.- The main tower (including the chapel, dedicated to the Conception of the Virgin) and the Consulat del Mar (Consulate Sea). The central tower which has a ground floor and two storeys, served in old times as the prison for those merchants who could not pay their bills. The Consulat del Mar rises three floors. 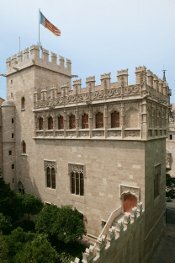 It is a later form of Gothic and equally exuberant in the decoration of its facades, especially on the upper floor, where the windows have highly decorated sills and lintels and are crowned by portrait medallions. 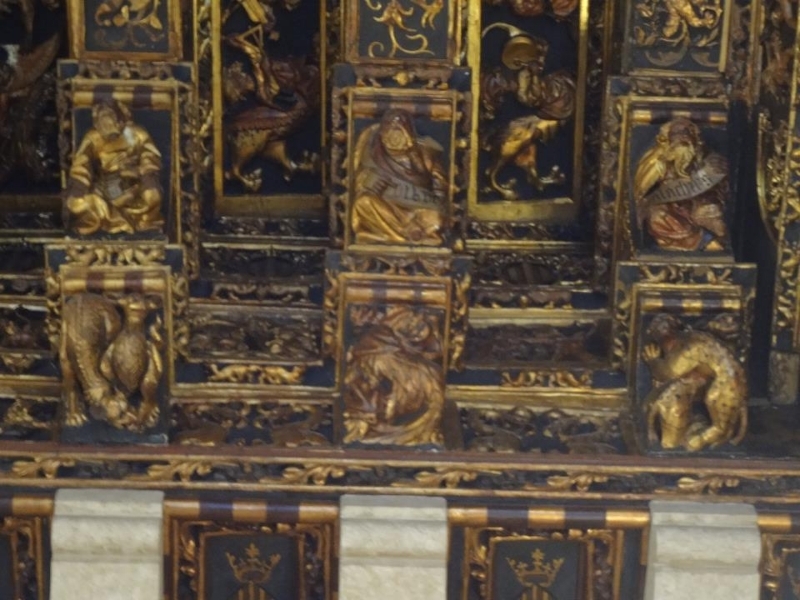 The chamber on the first floor shelters to the Cambra Dourada (The Golden Chamber) which interior is notable for the carved decoration, gilded and painted. 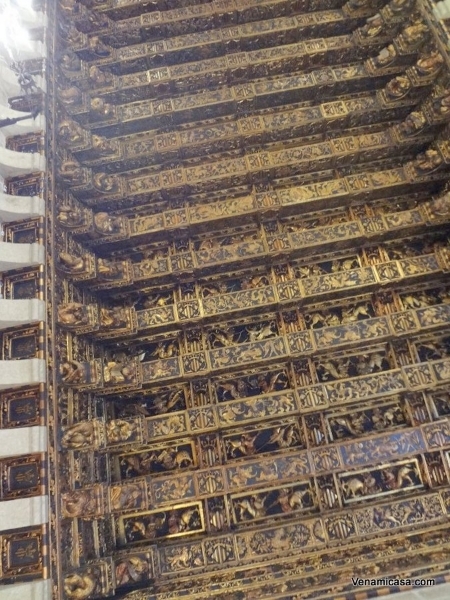 The roof is grandly spectacular and beautiful. The Consolat del Mar has a façade on which forty medallions can be seen, each one bearing the bust of a famous person, amongst which are several Roman emperors. 3.- A larg e and cozy garden complete de emsemble where is really interesting a walk around the garden to appreciate the beauty of the windows and the interior façade. At the present time it is still a major trading exchange, now dealing primarily in agricultural products. 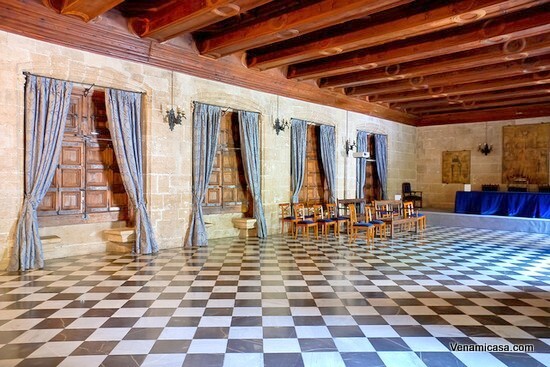 The environs of the Lonja retain close links with the history of the building and preserve its role. Just in front of La Lonja building it is sited the large Market Hall, with its metal framing of 1914-28, is built on the site of the original market, whose activities were intimately associated with the Lonja. 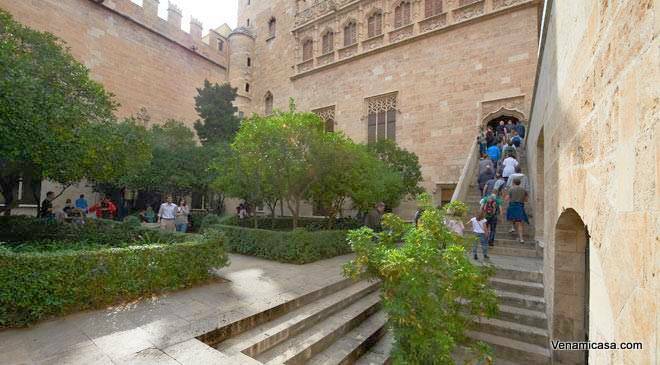 The Old City behind La Lonja complements a delightful walk, an area full of charm and magic. To put into practice your Spanish skills you need to talk. 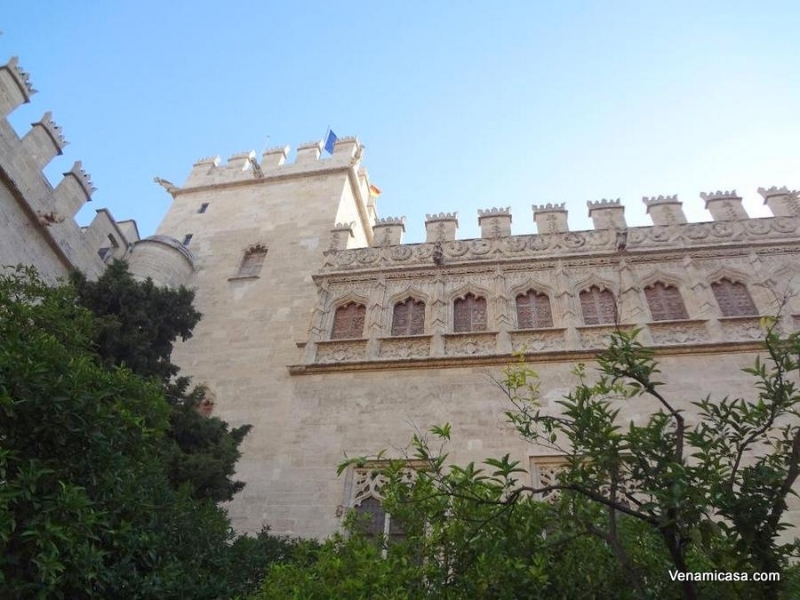 Valencia is a perfect city to improve your Spanish, meet people, talk, walk, sightseeing... enjoy the delicious gastronomy, taste the original Paella Valenciana and be pampered with your Host in Spanish language... all in a pleasant climate all year. HOMESTAY ACCOMMODATION. Live, think and talk in Spanish. 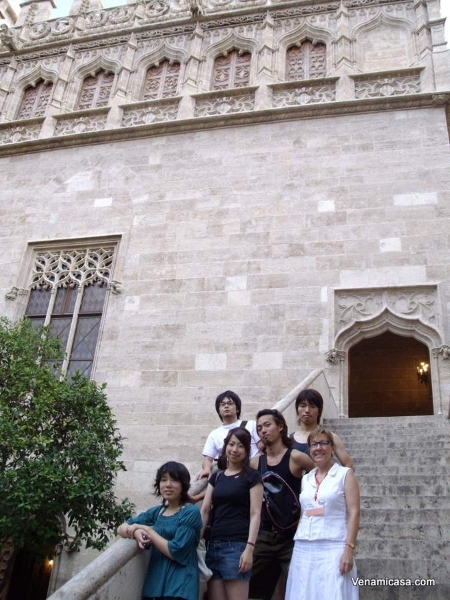 Homestay is the best option to be immersed into the real Spanish life, discover the Spanish culture and customs and put into practice the Spanish skills. 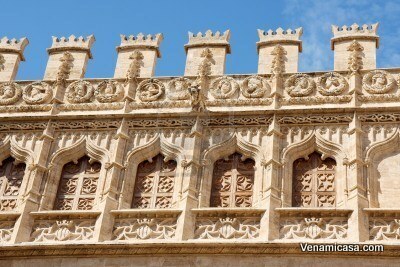 Venamicasa offers Homestay in all our destinations: Madrid-Barcelona-Valencia-Alicante and Sevilla. We work with the same Host Families since 2005 which represents a total guarantee of quality and reliability for our customers. We have a large database in all our destinations. Our attention is personalized, you can reach us 24 hours. La Tomatina de Bunyol. Tomato's Festival.